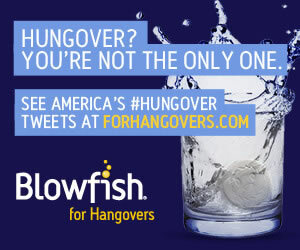 When people visit this site, one of the first things they always want to know is, “how to prevent a hangover”? Unfortunately, there really isn’t a lot of good, science-backed advice on this topic. Sure, you’ll find people who tell you the best way to prevent a hangover is not to drink at all. If that was our goal, we wouldn’t be looking for hangover cures in the first place! So instead of giving you inane advice like that, I’m going to share four steps you can follow before bed that can have a significant impact on your hangover. And while these four things aren’t necessarily a “cure”, they do seem to help lessen the symptoms you’ll experience the next morning. This technique really works wonders! Getting all that food into your stomach slows down the absorption of alcohol, which is really important. We all have those stories when we didn’t eat, went to happy hour or out, and then had a super-hangover the next day. If you can eat a big meal before your drinking, and then another one before going to bed, there’s a good chance you’ll feel much better the next morning versus if you hadn’t eaten at all. Many of today’s hangover cures are designed to be used before, during and after you drink. So it makes sense to get them working for you as quickly as possible. Whether you prefer hangover supplements, drinks, powders or a combination of these, make sure you follow the directions. We’ve tried a lot of these hangover cure products and can attest that some of them do actually work. And by “work” we mean they can lessen the hangover symptoms you’ll feel the next morning. So once you find one you like, be sure to use it before you start drinking (at a minimum)! This is the obvious one that everyone and every website mentions. If you can remember to, you should try to drink a glass of water in between alcoholic drinks. That sounds easy, but believe me it’s not when someone just bought you a tequila shot and you haven’t even finished your vodka and soda. In addition to drinking water while you’re drinking, it’s also important you drink as much of it as possible when you get home. If you make the mistake of dehydrating yourself when you go to bed, you’re going to feel like crap the next day– guaranteed! Ok now you’re hydrated, let’s check out the fourth thing you can do to prevent a hangover. There was a study done about 10 years ago that showed that the extract of the prickly pear cactus (called Opuntia ficus indica) actually reduced the hangover symptoms of people who took it! Volunteers who took it and then went out and got drunk experienced less dry mouth, nausea and loss of appetite versus the placebo group. Of more significance, the prickly pear recipients had lower levels of C-reactive protein (which is produced in the liver as a response to inflammation). Since we know that inflammation is main culprit in hangovers, anything that can reduce it is huge! Besides not drinking (which is unrealistic if your intention is to go out drinking– duh), there are four major things you can do to potentially reduce the severity of your hangover. First, eat a big meal before and after drinking. Second, use a hangover product. Third, drink lots of water during and after drinking. And fourth, take (or drink) some prickly pear extract. If you’re able to do any or all of these four things, you’ll have a good chance of waking up feeling much better than if you hadn’t done them at all! Looking for the best products to use for step two? Then check out our ranking of the 10 best hangover cures.